I'm so glad you are back! Isn't the clip art I found just adorable? Your students are going to have such a fun time, they won't even know that they are working! 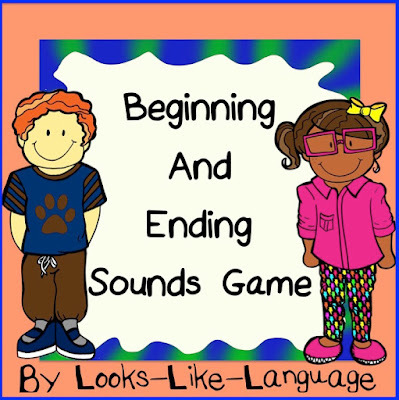 This week is part 2 of my beginnings and ending sounds game freebie. Come back next week to get the next set of cards! This freebie is made just for you, my Classroom Freebies, Too followers. Aren't you the lucky ones! Follow this link to my blog. See you there!